He has found captive audiences who echo his passion. Crowds lured to a venue by the father are returning to see the son -- and to once again participate in the high voltage celebration that takes place on stage. 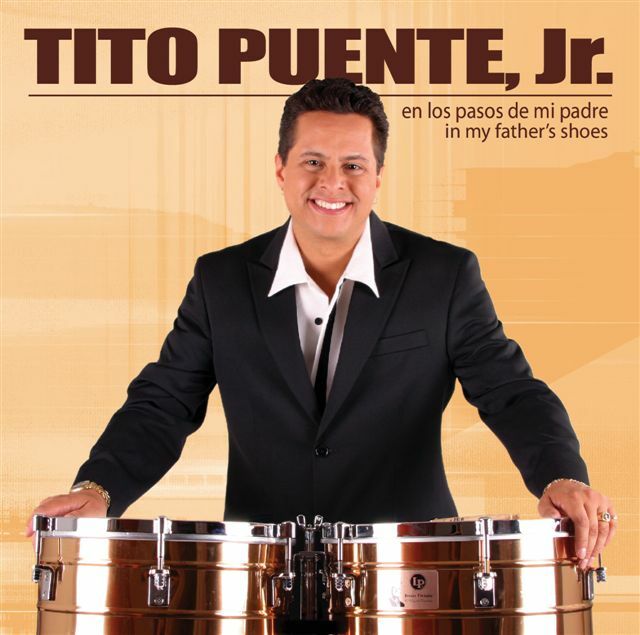 Tito Puente, Jr. has become an audience favorite in casinos, performing arts centers, symphony halls and jazz festivals worldwide, performing more than 300 shows over the past 5 years. His 2004 album, “In My Father’s Shoes” featured the classic Puente titles and was spun into a BET Jazz television special of the same name. He was seen in a tribute to his father’s music on NBC’s two hour special--“The Apollo at 70: A Hot Night in Harlem.” He has also appeared on the ABC soap opera hit “One Life to Live” in performance with his big band. Symphony appearances include Dallas, San Antonio, Colorado, South Bend, and upcoming performances with the Palm Desert Symphony and the National Symphony Orchestra conducted by Marvin Hamlisch. Tito, Jr.’s new CD release, “Got Mambo?” is a mixture of the old and the new as he takes a musical departure into some powerful new music he can truly call his own. Guest artists Bobby Cruz and Hansel & Raul help make this a coming of age project for Puente, Jr. and the album is receiving heavy praise from Tropical and Latin Jazz critics alike. Tito Jr. reveres the magnificent, lasting impact his father had on our musical lives. “People who don’t know anything about Latin music know my father and people always, always smile when they say my father’s name,” he confides. “That is a very special gift I have been given.” Tito, Jr. lives in South Florida and has two children, Miranda and Antonio.